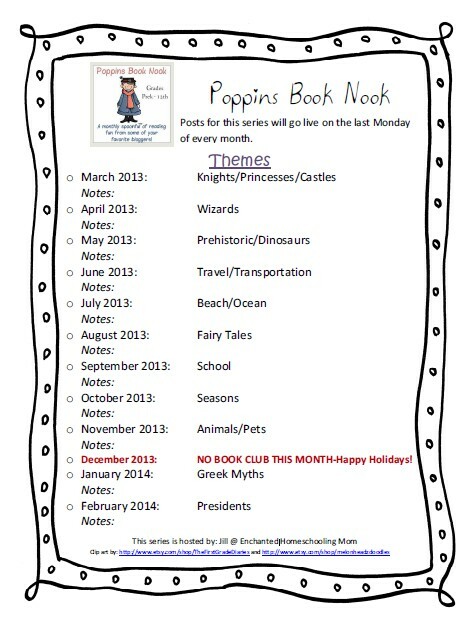 We are having lots of fun with the Poppins Book Nook blog series and we will be continuing that fun all throughout 2014. Be on the lookout for the 2014 themes! This month's theme was Presidents. 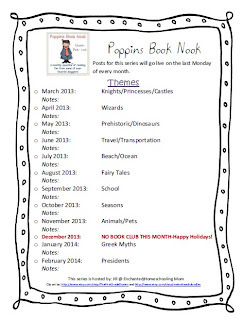 Keep reading to learn more about the President books we read, fun crafts we made and grab your FREE myth journal page too. The giveaway is at the end of the post! Here is a President Journal Page I made which goes along with this months theme. Download your copy here or click the picture below. The kids had a lot of fun with this journal page. We read several books including So You Want To Be President, Vote and President Adams Alligator. Gwyn came up with our President craft. I am fairly certain the idea came from one of her favorite movies Night At The Museum....remember the bobble head Einsteins? Well here is our President Bobble Head craft. First decide what President or other person you are going to make. My kids decided to even make bobble head pets. 1. Glue a pipe cleaner onto the back of the container for the arms. Length will vary depending on the size of your bottle. 2. Design the head. 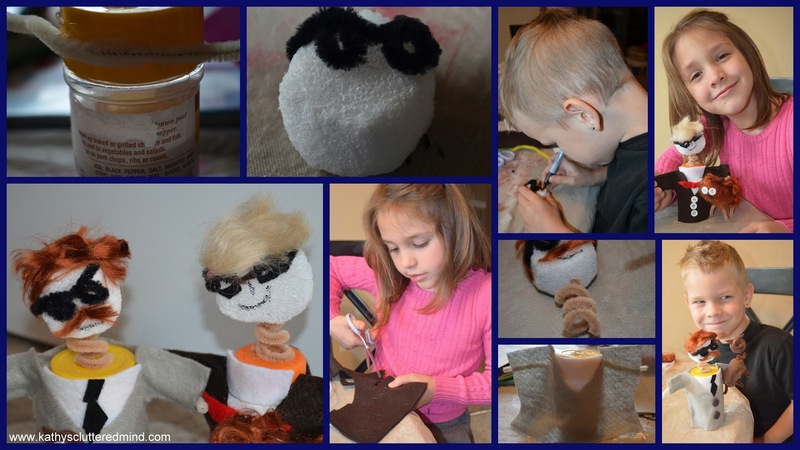 Use markers, pipe cleaners for glasses, doll hair for hair, mustaches and beards, etc. 3. Stick a pipe cleaner into the bottom of the foam ball. Twist it to resemble a spring about 3 times. Glue the other end to the top of the bottle. 4. Now it is time to dress your bobble head (this part can be tedious). You will basically want to cut two pieces of felt, one for the front and one for the back of the shirt. In our case the President's were wearing suit jackets so we glued a piece of white felt to the front of the bottle and cut a "V" shape out of the front piece of felt. Again the size of the felt rectangles will depend on the size of your bottle. After you get the front and back pieces glued on you will want to cut the felt around the bottom of the arms and glue the pieces together to make the sleeves, then glued down the sides of the shirt. 5. Add final details such as buttons on the shirt, decals, ties/bow ties, etc. 6. Now watch them bobble! 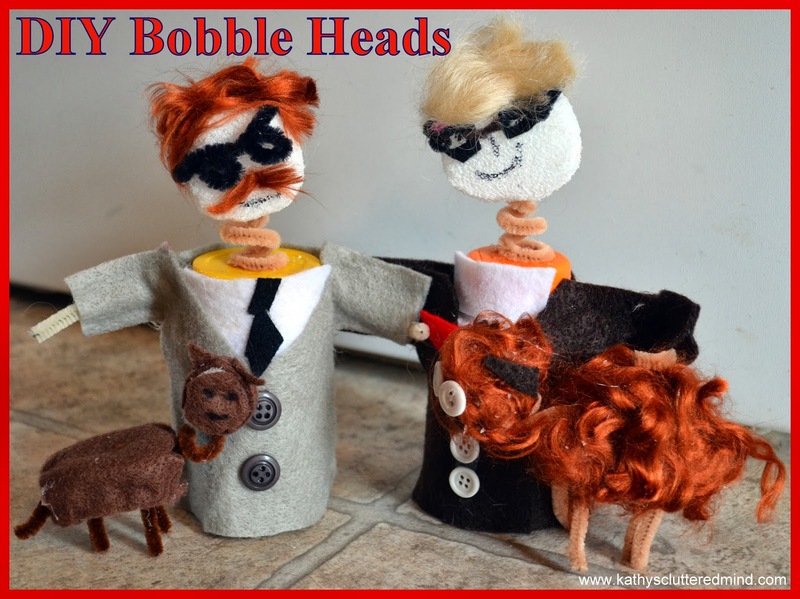 Meet Theodore Roosevelt and Franklin Roosevelt! 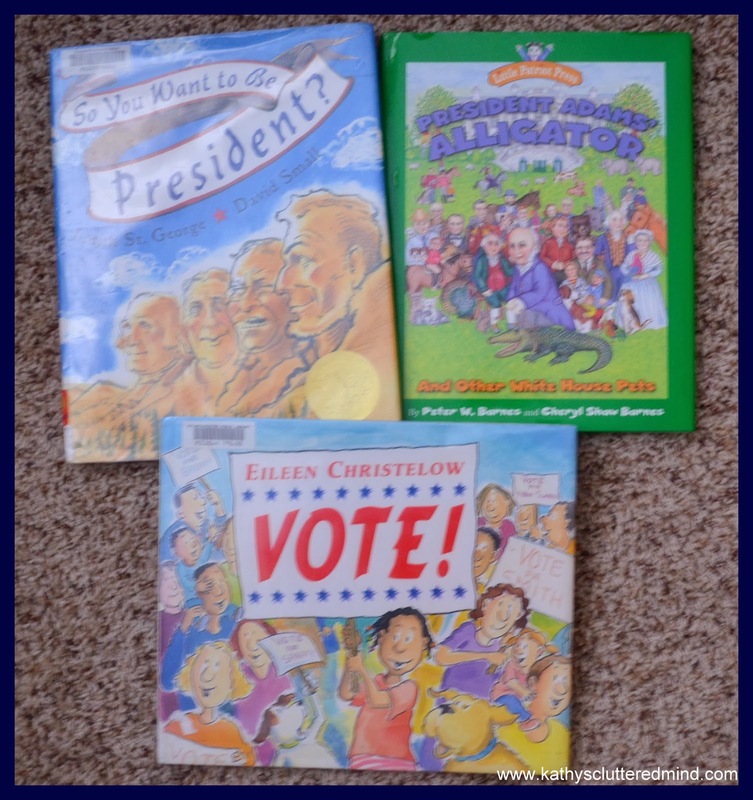 Here are some additional resources we are utilizing to learn about the Presidents. 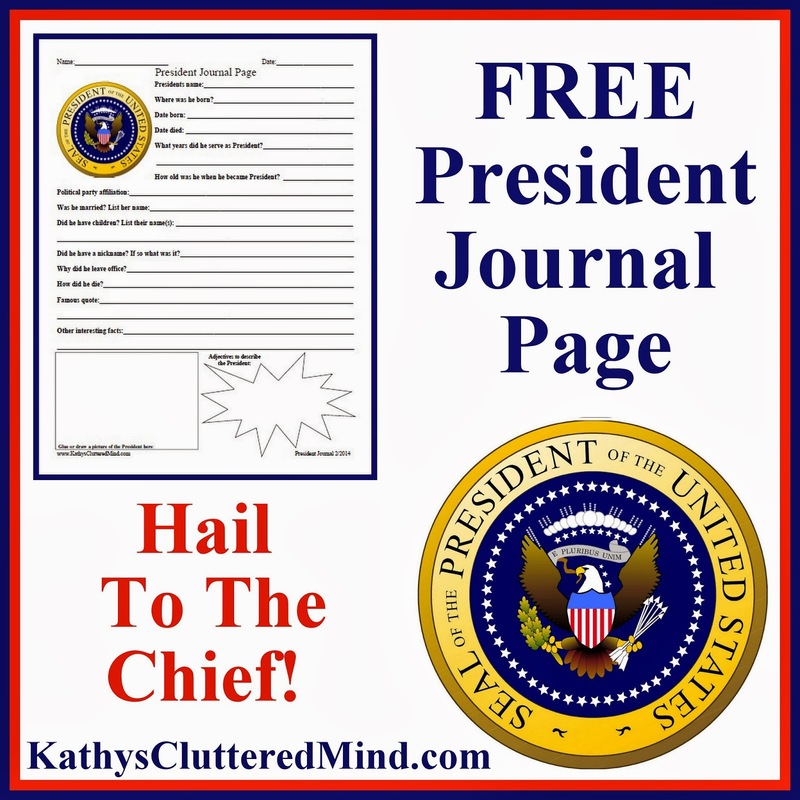 -Visit my FreeBEE Friday President's Day post for lots of President resources. 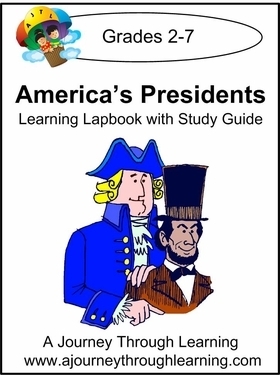 -A Journey Through Learning American's Presidents Lapbook and Unit Study. This is so cute! I'm sharing. WOW! This is wonderful! Thank you! Thanks for hosting your Monday craft hop! Oh my gosh! Those bobble heads are too funny! This is maybe the cutest thing I have ever seen! What a great way to make learning about the presidents a blast!